Application : Surface preparation of raw SS sheet by using belt grinding process. Which helps to improve the finish of ss sheet & reduces the final polishing efforts. 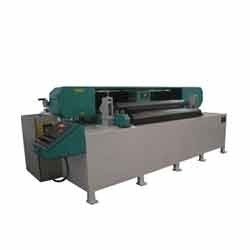 We are a well-known name, involved in providing an extensive series of Sheet Polishing Machine. We are an accomplished organization which has gained name and fame in providing Metal Sheets Auto Polishing Machine to the customers. Moreover, we offer these power sprayers in various specifications. 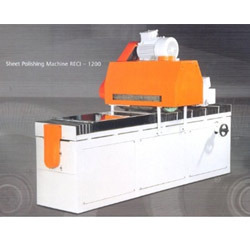 Sheet Polushing Machine No. - 7. Sheet Size Range : Maximum 5 ft*10 ft.